The amount of weight one places on the importance of a good user interface can vary hugely from person to person. 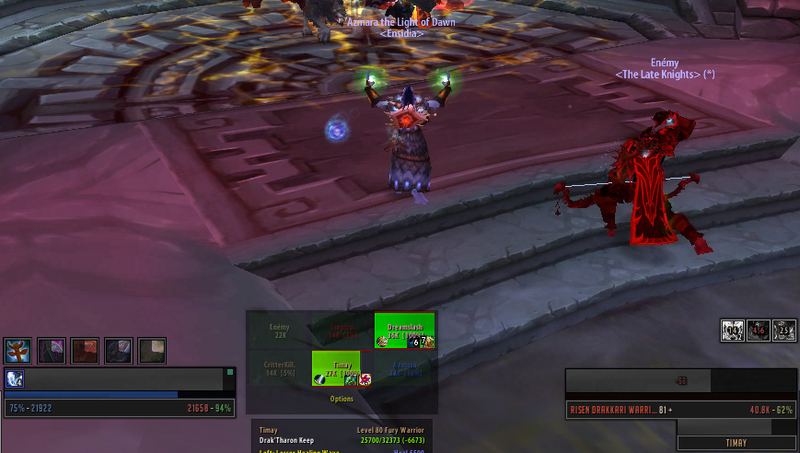 There are good players out there running the default WoW UI. There are terrible players using very complex UIs. One thing is for sure, the interface you use will not miraculously make you into an amazing player. It can help though…. 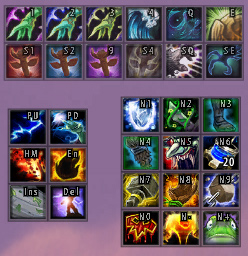 There are so many addons for World of Warcraft that it’s easy to get caught up in “collecting” them. 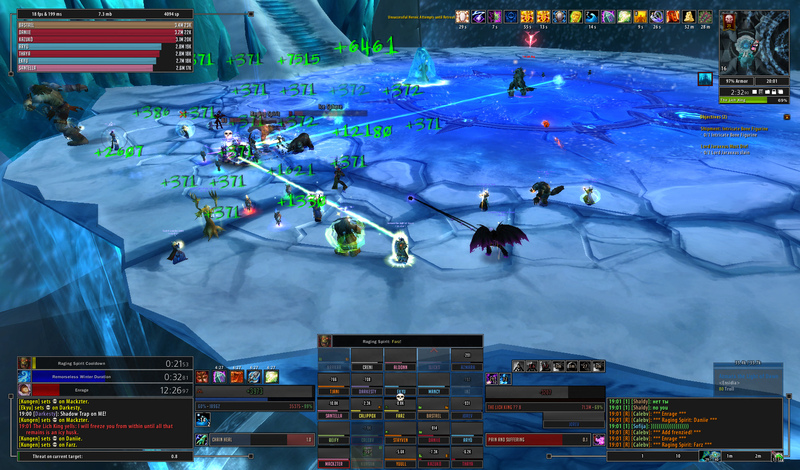 Ever seen an addon while stumbling over a screenshot of someone’s UI and grabbed it whether you need it or not. Sound familiar? It should, plenty of us do it. Our screens end up a jumble of various addons and then we complain when we have performance issues in game. As previously mentioned, a good UI should help you and not hinder. This means it provides you the information you need at any given time. The information we need can vary on occasion but at the centre of it will remain a core number of requirements. This is an obvious. As a minimal, we need to see our own health and mana pools along with the health and mana of our target. In a group or raid situation, we need to see the health and mana of other players and perhaps furthermore, those of our focus target? Another obvious, we need to see what we and our target are casting. This is another obviously essential component. Pulling agro off a tank in a raid situation can wipe the raid and in most cases, it is the DPS at fault should this occur. Seeing our threat on a given target is essential. Whether they be on us, our party / raid or on our target, seeing buffs and debuffs is essential. Failing to notice a spell reflect shield on a mob can result in a dead caster. Failing to see a debuff on yourself that is to cause 30k damage to anyone around us can result in a dead raid. Ensuring we have all the correct buffs before we head into combat ensures we can perform to our best. I will admit that when you have been playing a specific class and spec combination for a long time, you tend to develop a “feel” for your cooldowns. Spell rotations become second nature and you have an ability to just know when a skill is coming off cooldown and can be used. For less frequently cast spells or talents, Elemental Mastery is an excellent example here, being able to see the cooldown ensures you are playing optimally. Additionally, being able to see at a glance the duration left on a DoT, such as flame shock, can not only prevent us from needlessly “clipping” the spell, but can also aid us in planning ahead. 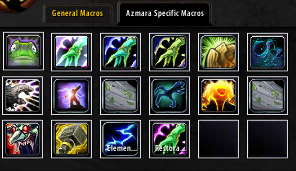 These are mostly required in raid instances where most guilds will insist on their members installing them. They tell you what a boss is about to do, before it does it and they announce when a player has a debuff. Lastly, we have our chat windows. Even if your guild use voice communications during raids, there is undoubtedly times where tactics are discussed in raids, or other players say something you are required to respond to. What makes a good PvE player? 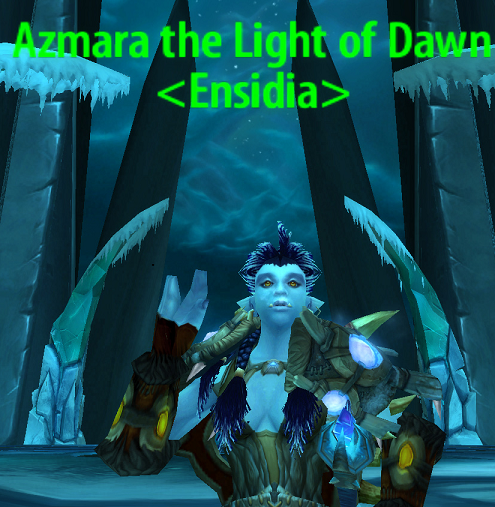 The ability to perform their given “role” within a raid while still responding to environmental events. These can be anything from moving out of AoE spells, switching targets, running to point x when you have debuff y and so on. All of these require a spacial awareness and one element of having such awareness is having a lot of “screen space”. By this, I refer to the free space on your screen where you can actually see what is happening around you. Should most of your screen be full of addons, the chance for you to see and respond to environmental events greatly reduces. Any UI should be designed with this key point at the forefront of our planning. For precisely this reason, you will see trends in most UIs. Chat frames will be at the bottom of the screen, most commonly in the corners. Action bars will reside at the bottom also. Buffs often get grouped together in a top corner. When considering where to place our key UI elements, we should consider our view of the game. Our character is always, roughly, central to the screen (if you play in first person mode, there is no helping you anyway). This area is where we will see AE’s on the floor that we need to move away from, what the boss is doing and so on. Most of our focus will be on this portion of the screen. It makes sense therefore, that key elements of our UI should be here. This means we can see vital information easily as our attention is already focussed on this part of the screen. With this in mind, designing a UI becomes much easier. My own unit frames will sit about 1/4 of the way up the screen, just below my main field of view. Cast bars for myself, my target and my focus target are all directly about their individual frames. My own debuffs sit below my unit frame. I never cease to be surprised at how many players bunch these together in a dusty corner somewhere and then wonder why they are slower to react than other players. If I have a nasty debuff, I want to know what it is instantly. My threat meter shows directly below my target. There is no point having an addon to determine your threat and then sticking it in a corner where you rarely notice it.